Nevada Griffons head coach Chris Smith looked forward in 1986 to having Don Sparks on his collegiate league team. Coming to the Griffons from Long Beach City College, Sparks, Smith told The Nevada Daily Mail, possessed power, a good arm and above average speed. He was also being recruited by Loyola Marymount University. "He is talented and personable," Smith told The Daily Mail that May. "And as an outstanding young man, he will be a credit to our program in Nevada." Sparks played for Nevada and went on to play for Loyola Marymount, getting hot early in the 1987 season. Then, Sparks had a .436 average by the end of February. In 1988, Sparks had 60 RBI by the end of May, including four RBI in one game. He also made Baseball America's Third Team All-American list in 1988. Sparks played well enough to be taken in the fifth round of the 1988 draft by the Yankees. But, in a professional career that spanned nine seasons, Sparks never did well enough to make the majors. With the Yankees, Sparks started at single-A Prince William, hitting .247 in 70 games. He returned to Prince William for 1989, hitting .281. He also hit six home runs, four coming in two games. He hit two home runs in a May win, then two more in an August loss. 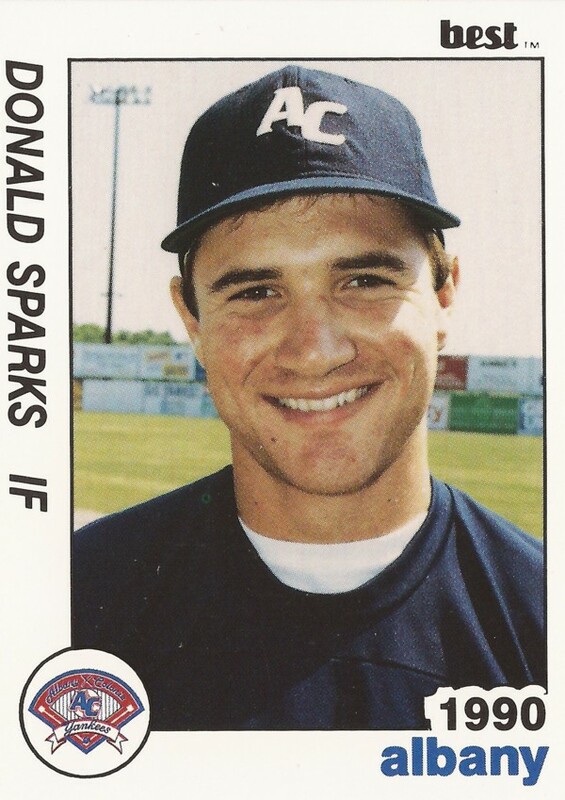 Sparks arrived at AA Albany-Colonie in 1990, getting three hits in a late August game. Sparks also got his first look at AAA Columbus that year, 16 games. Sparks returned to Columbus for four of the next five seasons, the only exception being a return to Albany in 1992. Sparks hit .284 for Columbus in 1993, then .312 in 1995. But he never got called up to the Bronx. 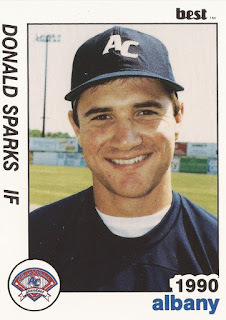 Sparks finished out his career in 1996 with one more season at AAA, with the Indians at Buffalo. He hit .295, without seeing Cleveland.